Actively defending against cyber attacks is the only way to get ahead of cyber criminals and gain the trust of your customers. Cyber security is more than a technology issue and it cannot remain in the IT domain. It also cannot be the responsibility of any one member of the board – it affects every level of a business and every part of the C-Suite in different, often subtle and not easily recognized, ways. Cyber security is about managing risk, but it is equally about enabling organizations to take advantage of opportunities in today’s digital world, in a safe way, and maintain the trust of their customers’, says Global Advisory Cyber security Leader Ken Allan. Tier3 Cyber Security Services annual Global Cyber Security Survey 2016-17 explores the crucial role played by cyber security in enabling a safer digital world. Businesses need to learn to spot the subtle signs that could indicate a cyber breach and employ an Active Cyber Defense approach to identify threats and neutralize the attacks. Last year, we identified the ways organizations could get ahead of cyber crime by following a three stage journey – Activate, Adapt, and Anticipate. This concept still applies, but our 2015 survey findings show that there is still progress to be made in all three stages. However, in the face of today’s threats, many of the actions we identified as more advanced actions have now become more foundation. For organizations to recognize the scale of the current challenge and understand what they need to do, they need to think about each of the following four areas. 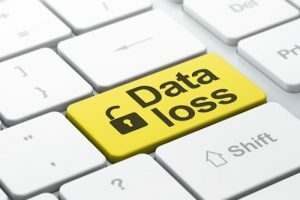 Data loss prevention software detects potential data breaches/data ex-filtration transmissions and prevents them by monitoring, detecting and blocking sensitive data while in-use (endpoint actions), in-motion (network traffic), and at-rest (data storage). In data leakage incidents, sensitive data is disclosed to unauthorized parties by either malicious intent or an inadvertent mistake. Sensitive data includes private or company information, intellectual property (IP), financial or patient information, credit-card data and other information. The terms “data loss” and “data leak” are related and are often used interchangeably. Teir3 spcifically works towards your goal and identify and plug any leaks which are causing data loss in your organisation and IT systems. Standard professional methodologies are used to achieve this goal ,ranging from simple pen-testing of your software to social engineering to find out any employee who is a mole.